So in lieu of ski bibs and winter parkas, the family opted for swimsuits and Teva sandals—a lot of Teva sandals. 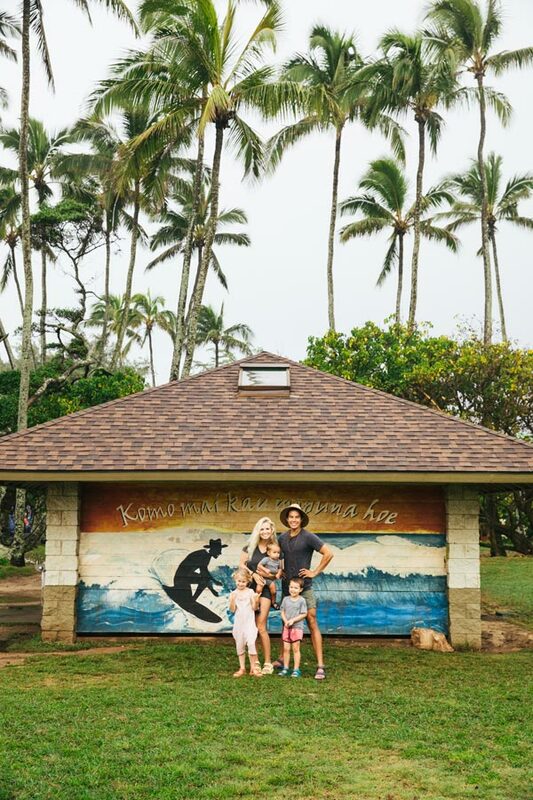 “We were chasing warmth, sunny skies, wide beaches, surfing, jungles and space to roam,” she says. 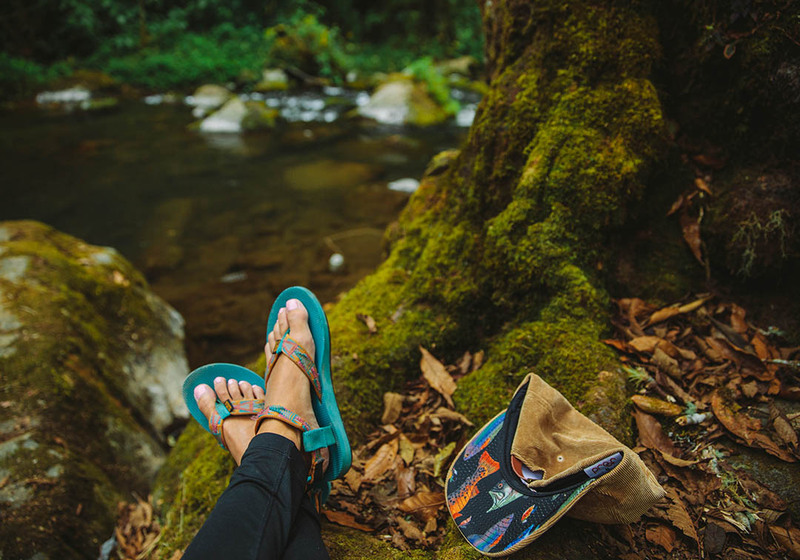 “Costa Rica was the perfect destination for our winter hiatus, and coming home with a suntan near the end of the season wasn’t looking like a bad idea.” Ready to jump ship on rainy April days and head south with your own pair of sandals? Here’s how to make the most of your time in Costa Rica, straight from Turley’s Field Notes. 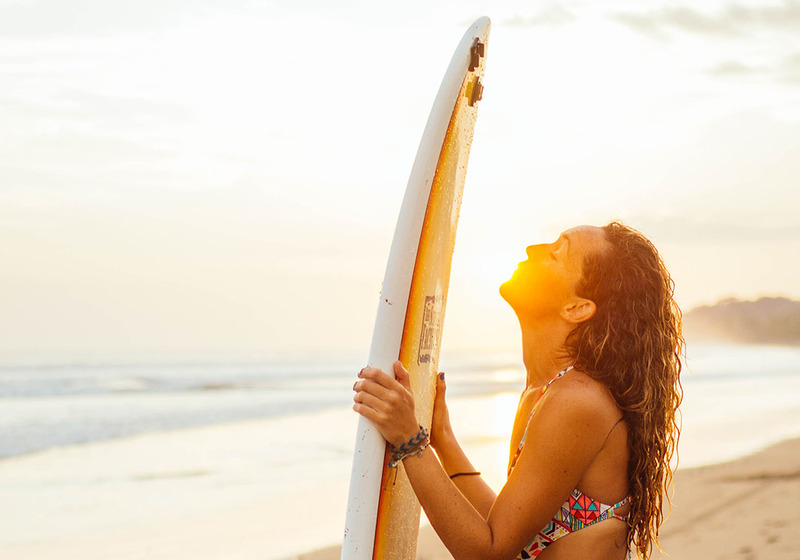 Just south of the bumping surf town of Jaco, is Playa Hermosa, a mecca for surfers. The Quicksilver Surf Championships are held here every year, and waves reach up to 13 feet high with strong currents and riptides. A little further south is Esterillos Oeste, another great spot for surfers looking to catch some fun waves. The best tides are two hours before high tide, and the best swells are found during the region’s rainy season from May to mid-November. Tucked deep in the cloud forest reserve of San Gerardo de Dota is Café Kahawa, a charming restaurant in the woodland glades overlooking the tumbling Savegre River below. This open-air restaurant sits atop a jungle mountainside with views looking directly up the river so the angler-at-heart can easily spot fish rising while waiting for your fresh fish to be served. Everything is organic and the restaurant even boasts a hydroponic vegetable garden from which many of the menu’s comida del dia come from. Make sure to try their fresh trout ceviche! It’s to die for. 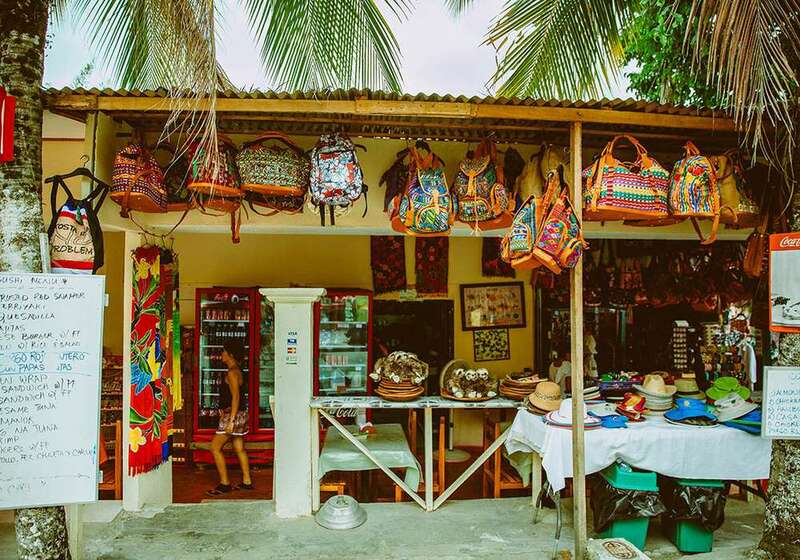 Manuel Antonio’s streets are tipping with kiosks and shops that reek of all things souvenir. From bags and stuffed sloths to bracelets and woodwork, you’ll find what you’re looking for (and probably something you aren’t!). 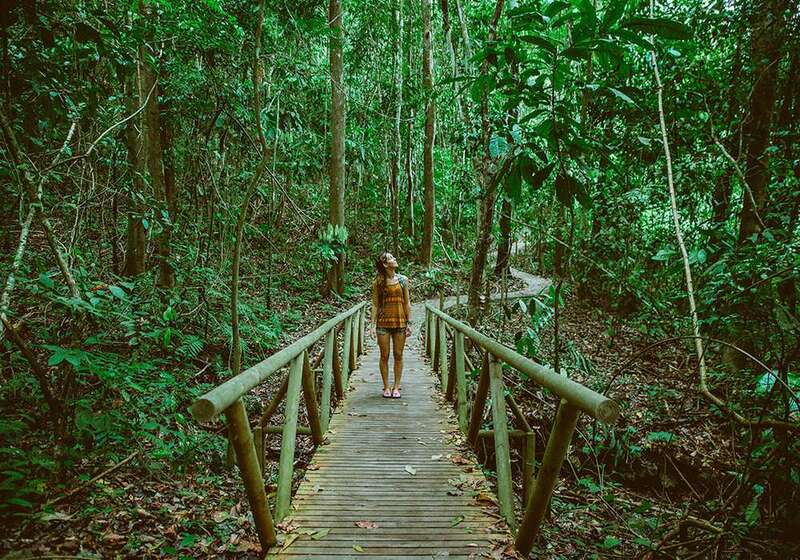 Manuel Antonio National Park, Costa Rica’s smallest park, is located on the Pacific coast of the country and represents more than 100 species of mammals and more than 180 species of birds. Hiking trails meander all the way to the several coves and beaches, which you’ll gladly welcome when you arrive sweaty and dripping wet (sweat mustache, anyone?) from the humidity. 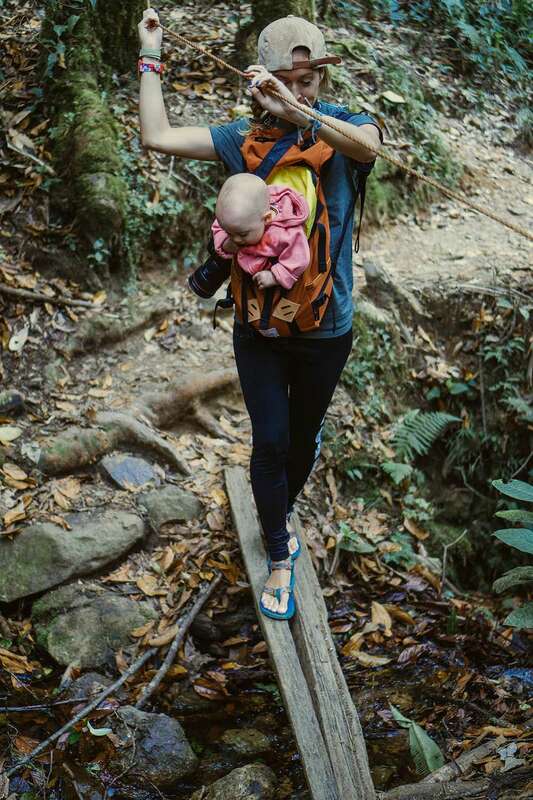 Keep your eyes up and your granola bars close on the trail because the entire hike is prime real estate for sloth spotting, monkey hanging, and raccoon dodging. 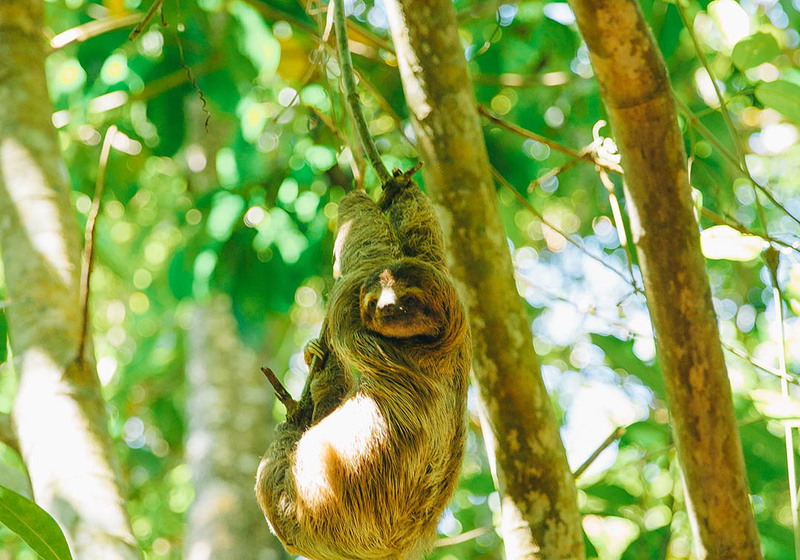 Sloths hang in the vines of the canopy above, spending most of their time high and barely visible to the naked eye in the trees above. With both two and three toed species of sloths represented in the park, consider yourself lucky to be practically guaranteed to catch a glimpse of these sleepy fellas. 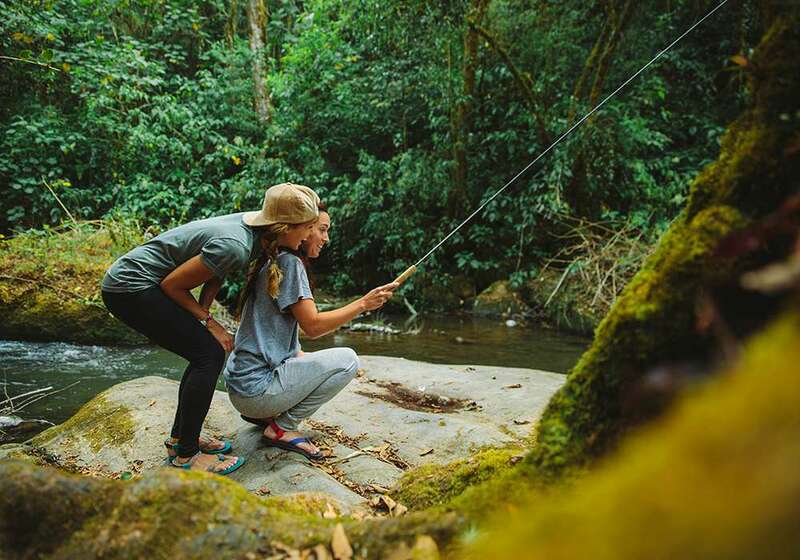 Fly-fishing is often overlooked in Costa Rica. 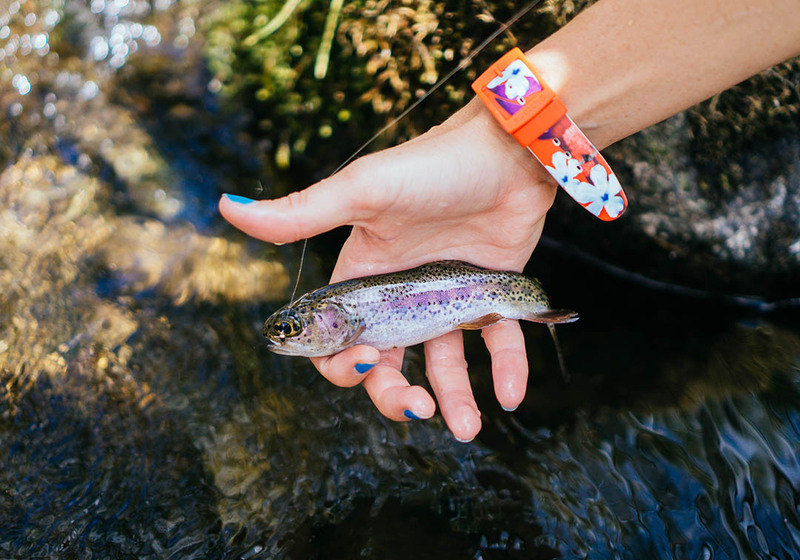 Catching the Tico trout is a rush, and you’ll see locals casting a line along the river throughout the day. 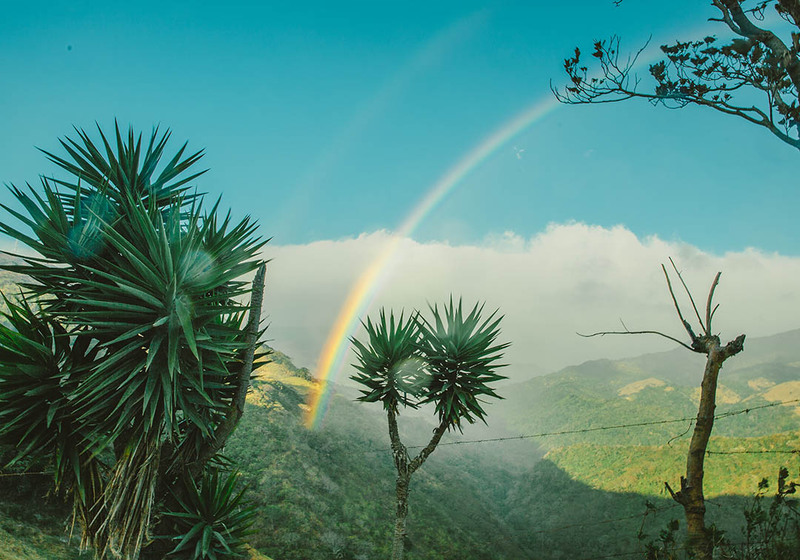 Costa Rica’s cloud forest offers some of the country’s most stunning scenery and an extensive ecosystem covered in countless species of plant life fueled by cool weather and abundant rainfall. 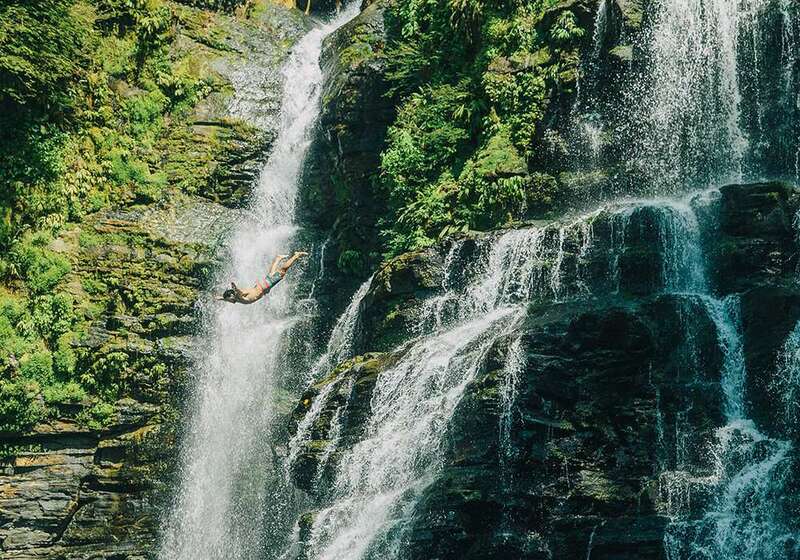 Nauyaca Waterfalls is a prime waterfall destination for jumping, swimming, hiking, climbing and relaxing. Standing at 200 feet, the falls spill over layers of rocks cascading into a large pool ideal for swimming. The trailhead is located 20 minutes from Dominical and is super easy to find. I recommend hiking by foot, although horseback riding tours are offered as well. The trail is 2.5 miles in and 5 miles round trip making it family friendly. Nauyaca has a lower and upper falls, both of which are well worth exploring. 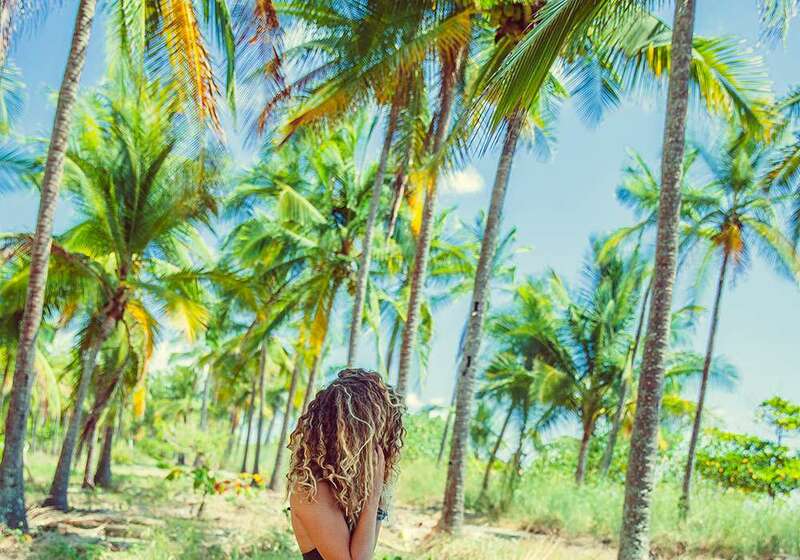 Among my favorite beaches are Esterillos, Dominical and Playa Hermosa. All of these destinations are best visited on a weekday, when there are fewer crowds and time to have peace and quiet all to yourself. Although a little spooky to think that crocodiles in Costa Rica are known to swim where the fresh water meets the ocean, you can’t miss the crocodile bridge on your drive from San Jose to Jaco to see it for yourself. Right off the highway, large crocodiles the size of logs lazily sunbathes on the muddy banks of the Tarcoles River. Visiting Monteverde is a must-do. With some of the longest zip lines in Central America and fantastic views above the jungle’s canopy, you’re guaranteed epic views and outdoor experiences above the clouds. We stayed at Monteverde Farm House Lodge via Airbnb and absolutely loved it. Not for the faint at heart, in this part of the jungle you’re bound to run into scorpions and other creeping crawling things so keep your eye out before you crawl into bed at night. 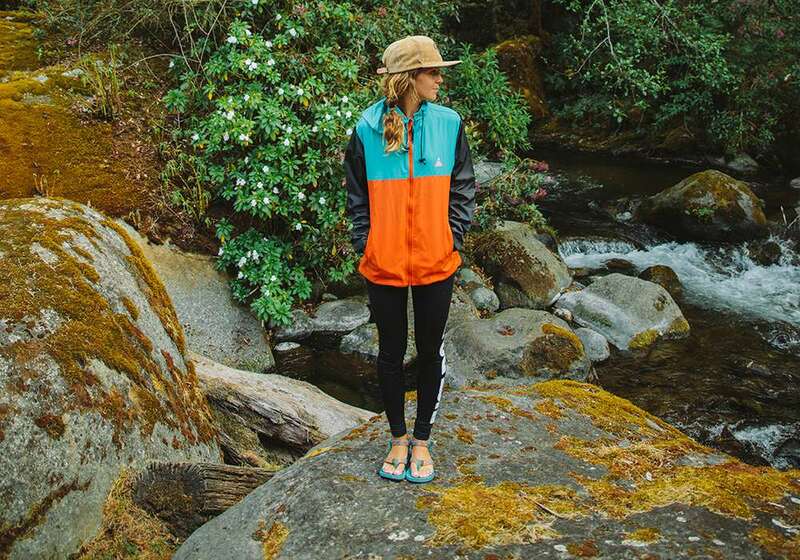 Personally, I’m obsessed with Teva Originals in all their glorious forms. I literally brought seven pairs of Tevas with me on my trip in various color and pattern combos to cover all my adventure and fashion bases! 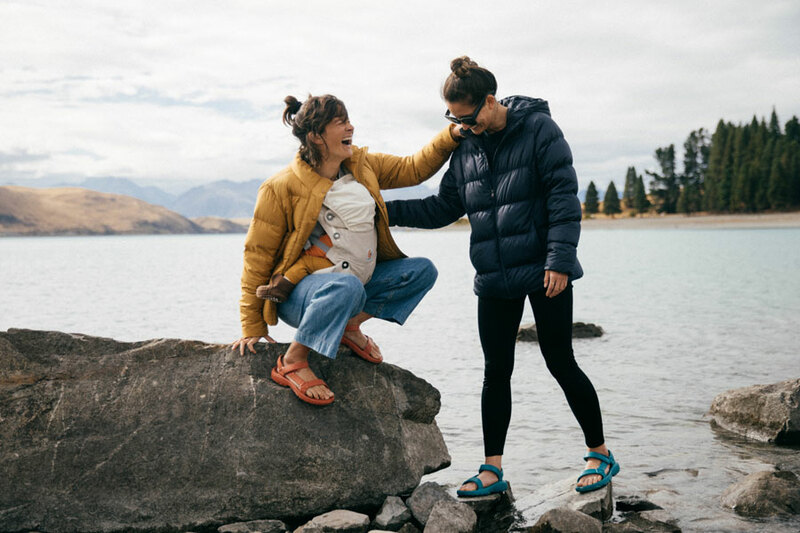 If you were to crack open my suitcase, Teva sandals would have come spilling out. Not a single pair went unworn! 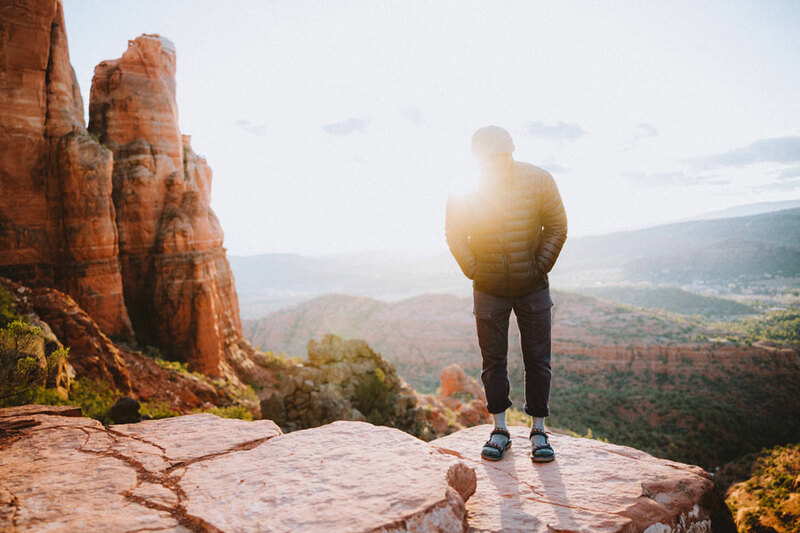 Our spring sandals are ready for any type of escape, from a desert road trip to a weekend in Hawaii.